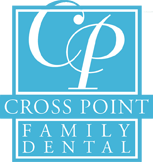 Crosspoint Family Dental strives to meet you and your family’s dental needs while providing a comfortable and personable visit. By offering a full range of services, we have become the leading family dentist in the Billerica, MA area. We accept most insurance plans and can explain your benefits when you call or visit. Be sure to check our Promotions page to see what specials we have for you! As your family dentist, our highly trained doctors, Dr. Peysakhov and Dr. Turkenich and helpful staff are committed to your comfort and dental health always performs your dental care. We serve all of your dental needs in one location! We perform comprehensive evaluations of our patients’ current and potential oral health conditions by reviewing a number of things. This includes reviewing overall health history, taking digital images, exploring dentition, checking for periodontal disease and by performing plaque removal and polishing. At Crosspoint Family Dental, we know that each patient has unique needs and we always strive to create individualized treatment plans that are completely tailored to you, no matter the age. Whether our patient is a child, adolescent or adult, our family dentists serving Billerica, MA, Dr. Peysakhov and Dr. Turkenich, are dedicated to helping you enjoy the healthy smile that you deserve.